Millions of hearts broke while watching Notre Dame Cathedral ablaze for hours; slowly being eaten by the fast-spreading fire. Barack Obama reached out to the citizens of France as they grieve for their most beautiful church, but also made the call to rebuild what was lost of our history. Last Monday, we lost one of the most beautiful churches in the world; a church that housed priceless artifacts and holy relics for over 800 years; a church that stood as a sublime reminder of God’s presence among us. “Notre Dame is one of the world’s great treasures, and we’re thinking of the people of France in your time of grief. It’s in our nature to mourn when we see history lost -- but it’s also in our nature to rebuild for tomorrow, as strong as we can,” he tweeted. The post came with a photo of Obama and his two daughters, Sasha and Malia, solemnly lighting a candle in the Cathedral. 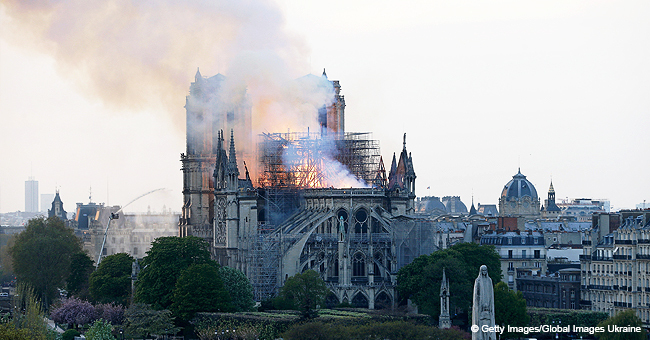 Within hours, exceptional architectures were slowly burnt, including the iconic spire, medieval stained glass windows, and the different parts of the roof. Nearly 400 firefighters worked to put out the fire, managing to save parts of the main building. Current President Donald Trump also took to Twitter his sentiments and even offered his suggestion to manage the fire quickly. “Perhaps flying water tankers could be used to put it out. Must act quickly!” he wrote. 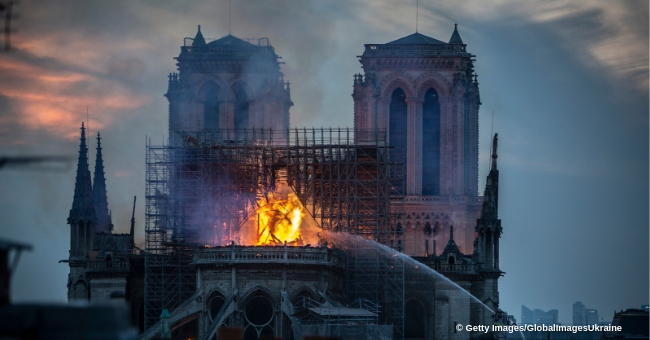 The fire potentially started from the constructions which were being done inside the building and seen through news coverage of the fire, including scaffolding being visible, Paris prosecutor reported. Notre Dame was built in the 12th century, following a medieval Gothic structure, by a civilization that no longer exists. Today, it is patronized by tourists and locals, drawing over 13 million visitors per year. Several historical events took place within the walls of the Cathedral such as the inauguration of Henry VI of England to be king of France, the crowning of Napoleon Bonaparte as emperor, and the beatification of Joan of Arc.